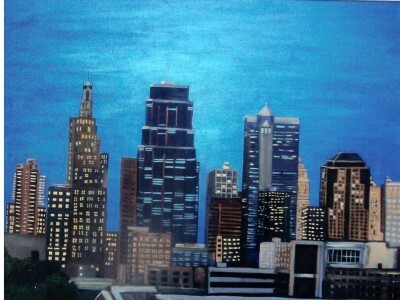 Description: This is a view of the Kansas City skyline from the Liberty Memorial angle. Note the roof of Union Station at the bottom of the painting. The sky is done in a Metalic blue and gives the painting an atmosphere of early morning or late evening.